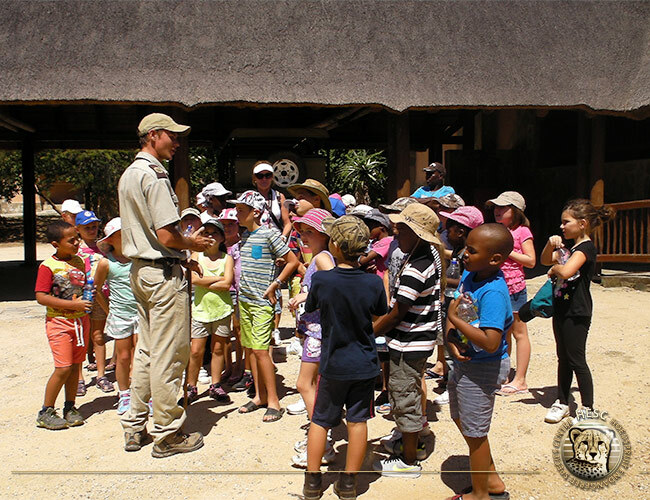 On the 24 March 2015, Riverview Preparatory School came to HESC and had an educational tour. 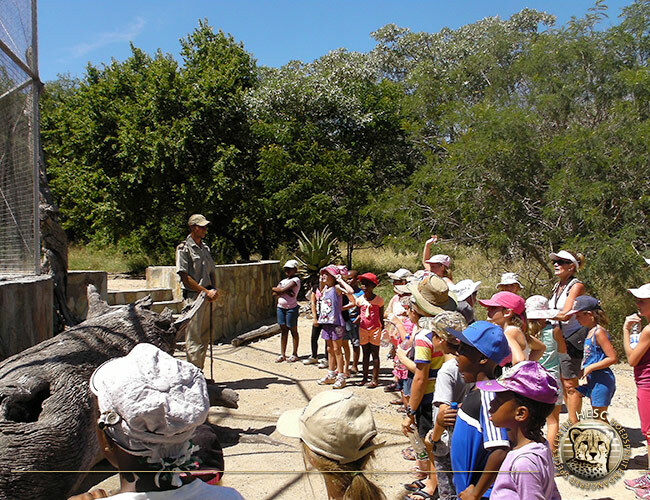 Sydney Staples (one of HESC’s guides) gave 35 Children (and two teachers) a tour around our centre. 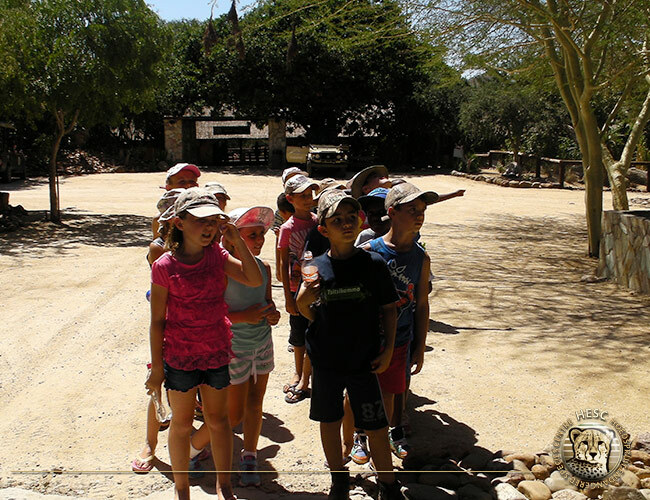 Walking to the Cheetah enclosures and seeing the Cheetah cubs, Sydney asked the children to guess the age of the cubs. Some children said 100 years old and others were much closer to the correct age of 5 months old. The children were very enthusiastic and asked many questions along the way. 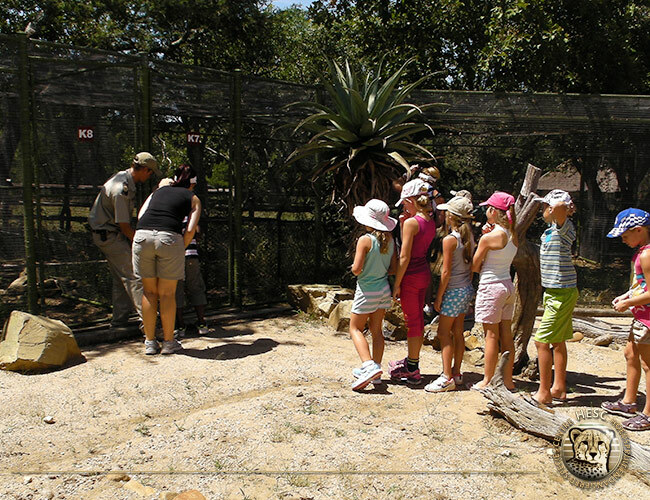 They got to see the two brother lions, the Southern Ground Hornbills and last but not least Gertjie, Matimba & Lammie. At the end of the tour, Sydney first asked all the girls a question and then followed by a question for the boys. The question Sydney asked the boys was, “Why did the ladies get go first”, of which a little boys answered, “Because they are more special”. Children at this age are just too cute at times and I am sure most agree have very good answers. A cold drink was waiting for them at the end, after a long walk and a very educational tour. 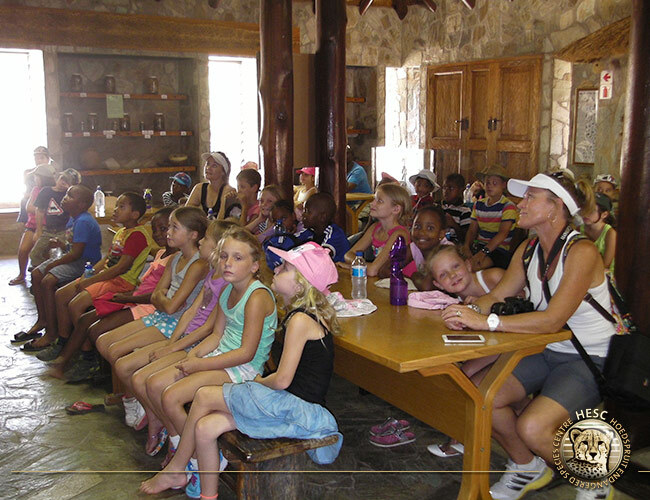 We hope they all had a great and educational day at the centre.